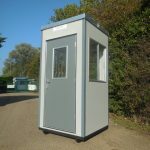 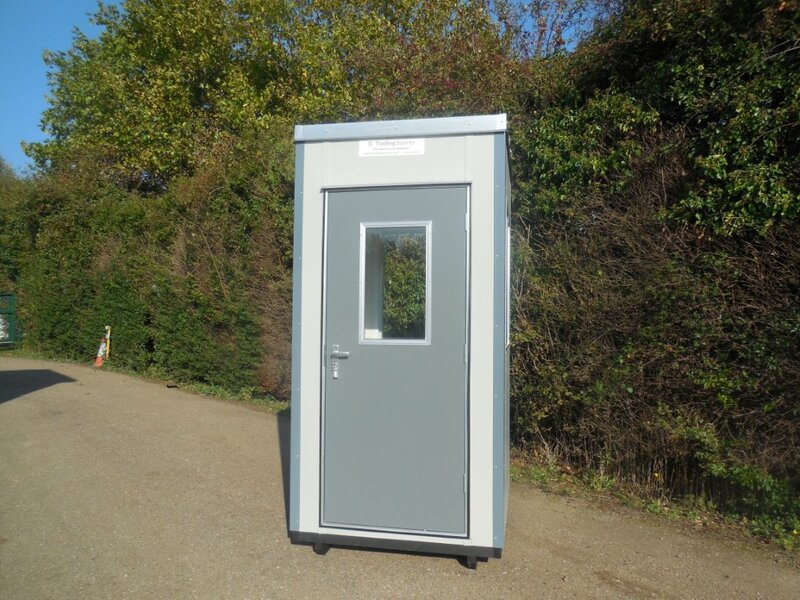 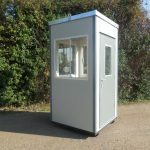 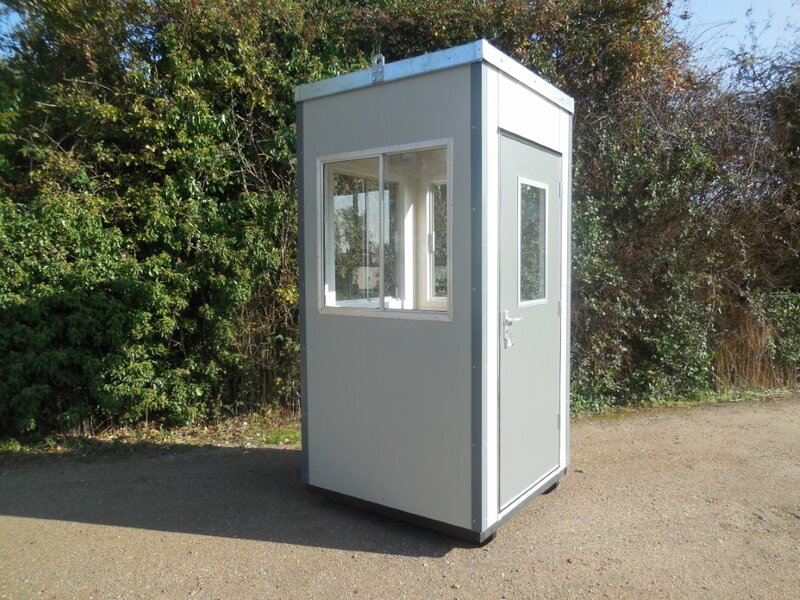 4ft x 4ft Guard Hut. 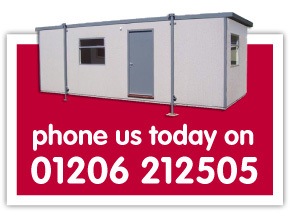 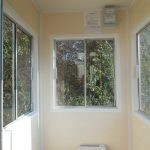 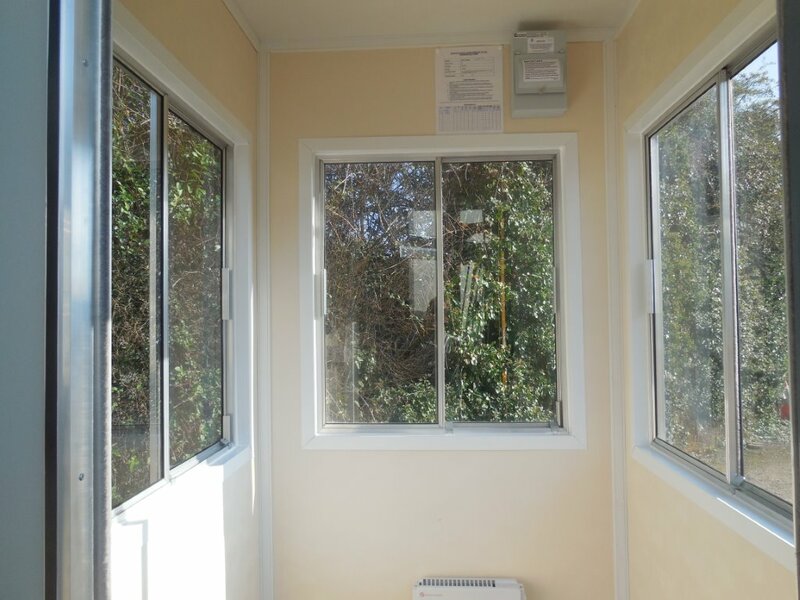 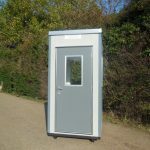 These huts feature sliding windows on three sides for good vision, they have a strong and durable all steel exterior finish and have smooth hard wearing internal panels for easy cleaning. 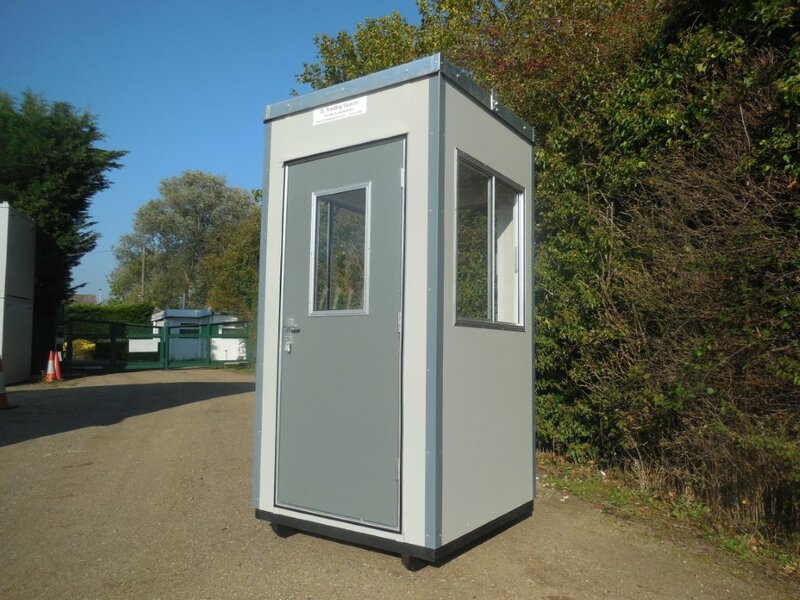 Lighting, a 13amp socket and an electrical convection heater is included, plus a very hard wearing non slip floor.